It’s time, once again, for the On DVD series featuring new releases from Paramount Home Distribution and Elevation Pictures. 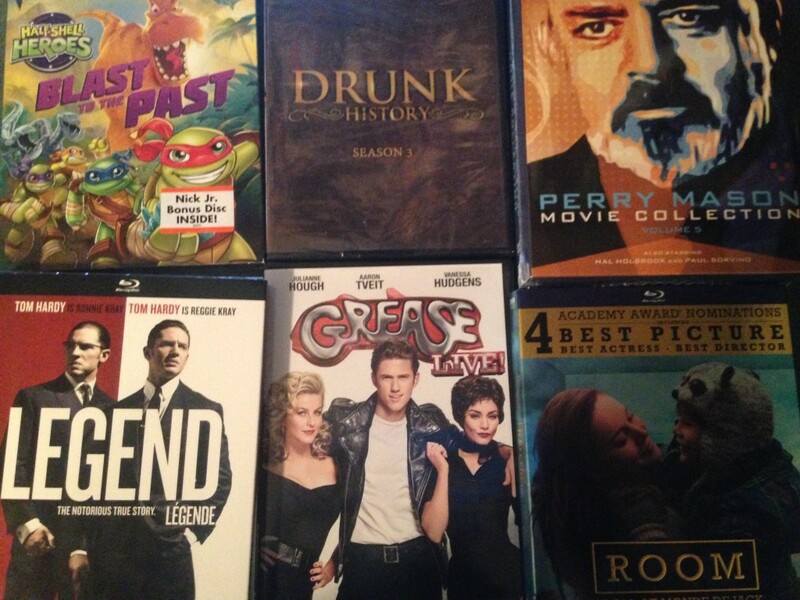 The Paramount haul this month is pretty light, including new offerings in two of their most standard categories: kids fare (Teenage Mutant Ninja Turtles: Blast to the Past) and the Perry Mason Movie Collection (Volume 5, including three new double features). Their other two new releases are a lot more exciting: season 3 of the beloved Comedy Central series Drunk History (including the incredible Dan Harmon as one of the storytellers!) and the DVD release of Grease Live!. This last one’s the highlight for me by a large margin not only because Grease was the most ambitious and thrilling live TV musical ever broadcast (read all of my thoughts HERE) but because live TV musicals are never released on DVD and now I get to watch “Those Magic Changes” over and over and over again. This one comes with a bunch of featurettes though bizarrely none take you behind the scenes of the actual event. Don’t skip the “When Was Your First?” feature. It sounds like the dumbest one but it’s a gem, including Carlos PenaVega and Aaron Tveit talking about dancebelts and breakout star Jordan Fisher improvising an original song about being put in the friend zone. Prestige Canadian distributor Elevation is coming off yet another huge year with the massive success of the Best Actress Oscar-winning Room and shoulda-been-bigger moderate success of Tom Hardy dual role tour de force Legend. Both are now available on Blu-ray with fascinating audio commentaries with directors Lenny Abrahamson and Brian Helgeland and Room also features two mini-docs about making the movie and its signature set.